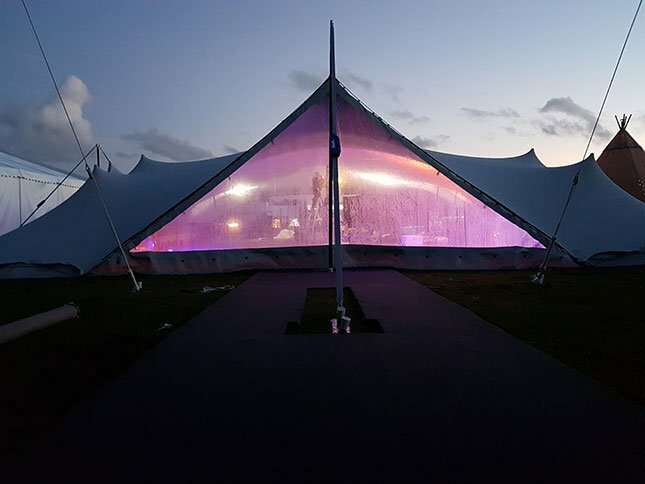 Aesthetically pleasing and durable stretch tents that have been tried and tested by the international industry. 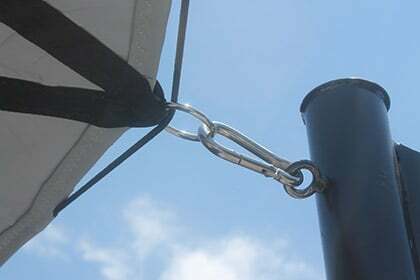 RHI stretch tents come with a modular linking system to join tents and increase capacity. With the radical technological advancement in velcro technology, RHI uses a tried and trusted system of velcro to attach gutters. 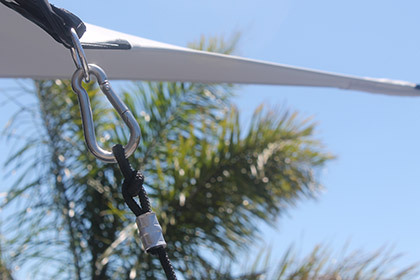 This system has proven to be one of the easiest to install and dismount and the shear strength is storm proof. 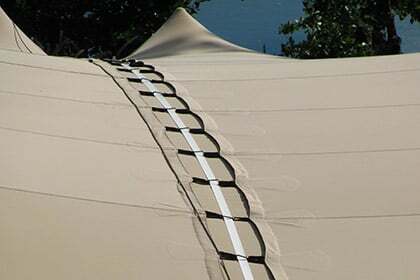 RHIs integrated accessories solutions give our stretch tent operators the ability to close doorways, cover side-scalloping where pegs are positioned and join tents with gutters. 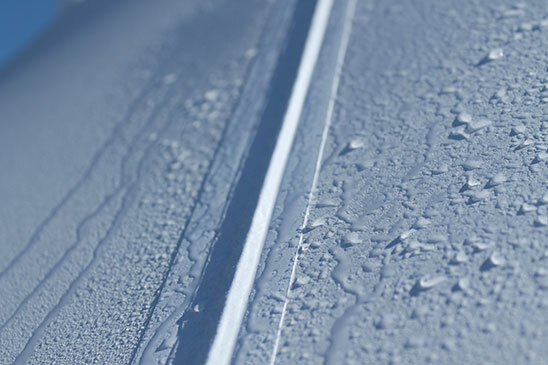 The RHI hybrid seaming technology incorporates stitching for strength and high peal bonds and welding for guaranteed waterproofing and extra durable seams. 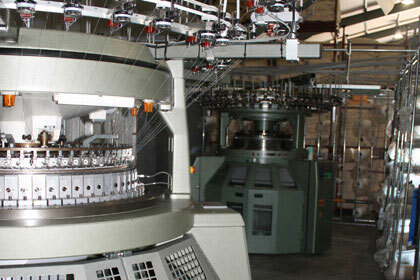 RHI is the only stretch tent company in the world that owns its own knitting machines. 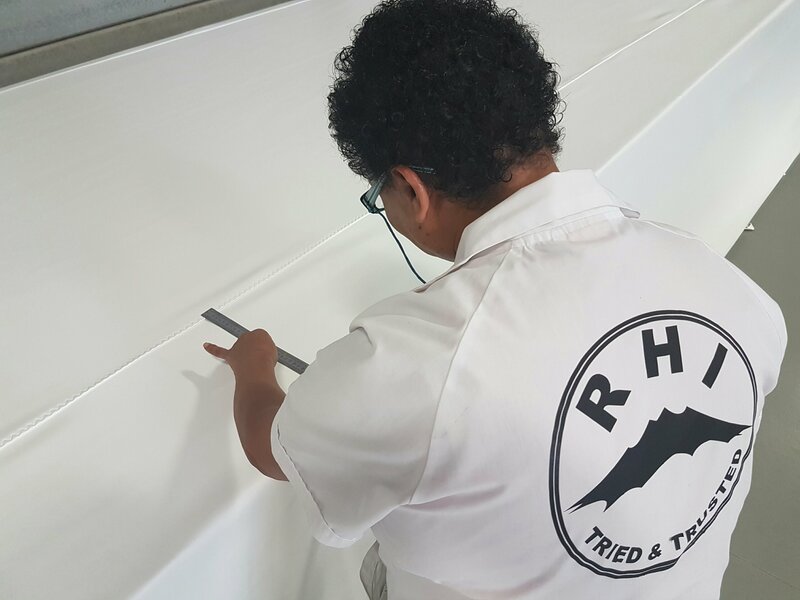 At RHI we have control over the quality of our stretch tent fabric from thread to finished product. We test each newly manufactured tent for consistency in fabric, durability and water resistance before it leaves our factory. Our stretch tents are available in chino, platinum, white, black and red. 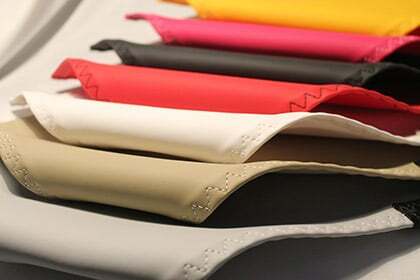 We can cater for special colour orders, subject to minimum quantities. Contact one of our consultants for more information. All RHI stretch tents are supplied in robust tent bags designed to protect tents during transport. The bags have heavy duty handles for easy loading and unloading and are clearly marked according to size and colour for easy stock control. 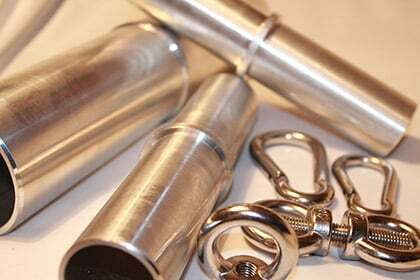 We supply engineering grade 6061 aluminium for our poles. Triple varnished wooden poles are available on request. 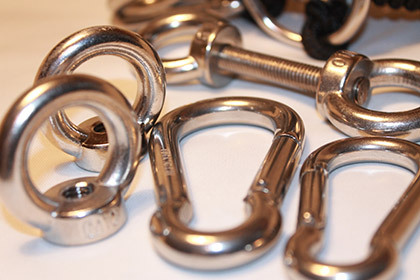 We use grade 316 stainless steel for all our small attachments and fittings. 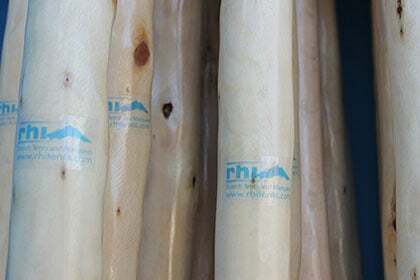 RHI designed white pole tops & bottoms are supplied with the aluminium poles. 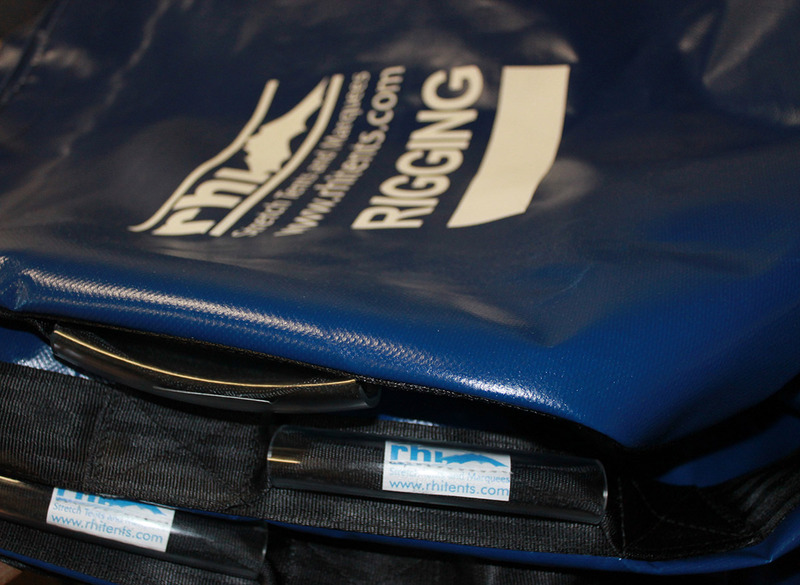 All our rigging equipment & accessories are of the highest quality and are guaranteed to last.